All our Electricians are NZ Registered electricians holding current practising licenses. Our excellent electrical workmanship puts your safety first! 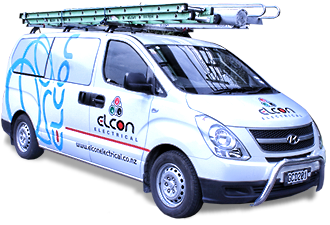 Elcon Electrical Ltd offer outstanding electrical services to Commercial clients. Some content discriptions of petroleum of Elcon electrical LTD. Qualified Master Electricians providing friendly professional services. Our staff are convieniently located in the greater Auckland area to service your electrical needs. Residential, Commercial, Maintenance work, Installation work & Hazardous Areas. Energy efficient products and solutions to save you money. We guarantee our workmanship & take pride in what we do. I found Elcon to be an amazing group to deal with. They arrived on time and were helpful with options and advice. The work was fantastic and they cleaned as they went. Our kitchen is amazing and a real hub of the home, we appreciate the extra power points, and the attention to detail they paid when placing everything. We would recommend them to others and would definitely use them again.